Scapin 8 Bulloni 2004 derailleur hanger 6061 T651, made with CNC technology. Black anodized. Lighter and more durable than the hanger series. Scapin all models derailleur hanger 6061 T651, made with CNC technology. Black anodized. Lighter and more durable than the hanger series. Scapin Blake 2010 - 2012 derailleur hanger 6061 T651, made with CNC technology. Black anodized. Lighter and more durable than the hanger series. 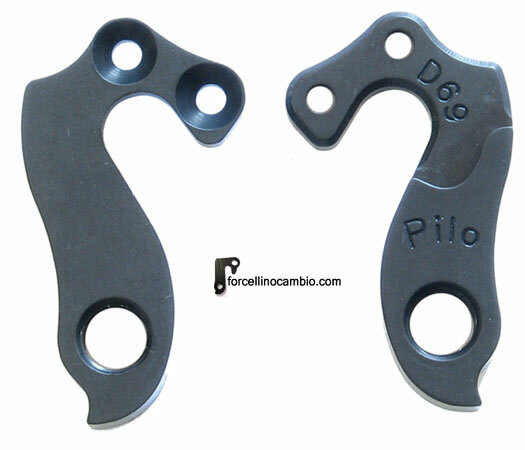 Scapin Epta 2004 derailleur hanger 6061 T651, made with CNC technology. Black anodized. Lighter and more durable than the hanger series. Scapin Eys 2012 derailleur hanger 6061 T651, made with CNC technology. Black anodized. Lighter and more durable than the hanger series. Scapin Fox 2012 derailleur hanger 6061 T651, made with CNC technology. Black anodized. Lighter and more durable than the hanger series. Scapin Frank 2004 derailleur hanger 6061 T651, made with CNC technology. Black anodized. Lighter and more durable than the hanger series. Scapin Karbon S8 derailleur hanger 6061 T651, made with CNC technology. Black anodized. Lighter and more durable than the hanger series. Scapin Murdok 2012 derailleur hanger 6061 T651, made with CNC technology. Black anodized. Lighter and more durable than the hanger series. 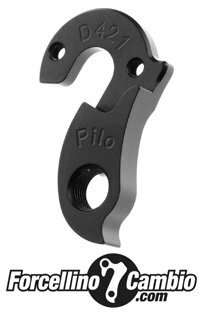 Scapin Nope derailleur hanger 6061 T651, made with CNC technology. Black anodized. Lighter and more durable than the hanger series.